Located about 30 km from Jammu, Gharana is surrounded by wetlands of Makwal, Kukdian, Abdullian and Pargwal where more than 170 resident and migratory bird species, flock during the winter. JAMMU: About 5,000 migratory birds have arrived at Gharana Wetland Conservation Reserve along the International border in the outskirts of Jammu, an official said. Located about 30 km from Jammu, Gharana is surrounded by wetlands of Makwal, Kukdian, Abdullian and Pargwal where more than 170 resident and migratory bird species, such as bar-headed geese, gadwalls, common teals, purple swamp hens, Indian moorhens, black-winged stilts, cormorants, egrets and greenshanks flock during the winter - making it a treat for bird watchers. "Around 5,000 bar-headed geese and birds of many other species have arrived at Gharana in R S Pura sector. Their number is expected to increase manifold in the coming weeks," Wildlife warden, Jammu, Shahzad Chowdary said, adding all necessary measures were being taken to ensure the safety of the winged guests. He was speaking at a meeting convened by Commissioner Secretary, state Forest Department, Manoj Kumar Dwivedi here to review the status of Gharana wetland conservation reserve. 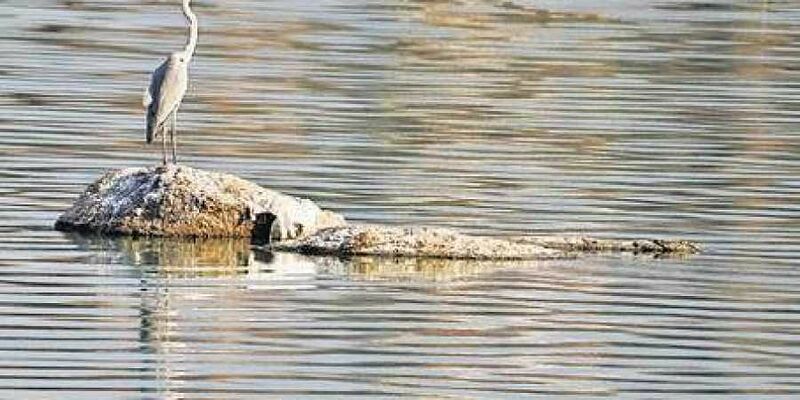 During the meeting, Dwivedi stressed on prioritising the conservation and management issues like sewage disposal by setting up sewage treatment plant (STP), monitoring and ensuring optimum water level in the wetland, an official spokesperson said. The commissioner secretary also stressed on desilting and selective deweeding for boosting eco-tourism in the area and generating livelihood opportunities for the communities and stakeholders. Regional wildlife warden, Jammu region, Tahir Shawl said the management action plan of Gharana wetland is in final stage of completion. Shawl said the provision for STP has been incorporated in the management plan. Gharana, located along the Central Asian Flyway, is a notified wetland conservation reserve under the Jammu and Kashmir Wildlife Protection Act, 1978. It has international recognition as one of the Important Bird Areas (IBAs) in the world, declared by BirdLife International (UK) and Bombay Natural History Society.